The Panorama Project—a multiyear library and publishing industry initiative focused on researching the impact that libraries have on book and author discovery, brand development, and retail sales—released its first report on November 29. The “Community Reading Event Impact Report” features an in-depth analysis regarding the effect that the April 2018 OverDrive Big Library Read (BLR) ebook campaign had on retail sales of debut author Jennifer McGaha’s Flat Broke with Two Goats: A Memoir of Appalachia. Facilitated by Rakuten OverDrive and a publisher partner, BLR campaigns enable participating libraries to offer patrons access to ebook versions of a selected title for two weeks with no holds list, at no cost to the library. The publisher, author, and participating libraries typically support the title through social media, book clubs, custom website content, and other outreach efforts, generating a local and national marketing boost for the book. 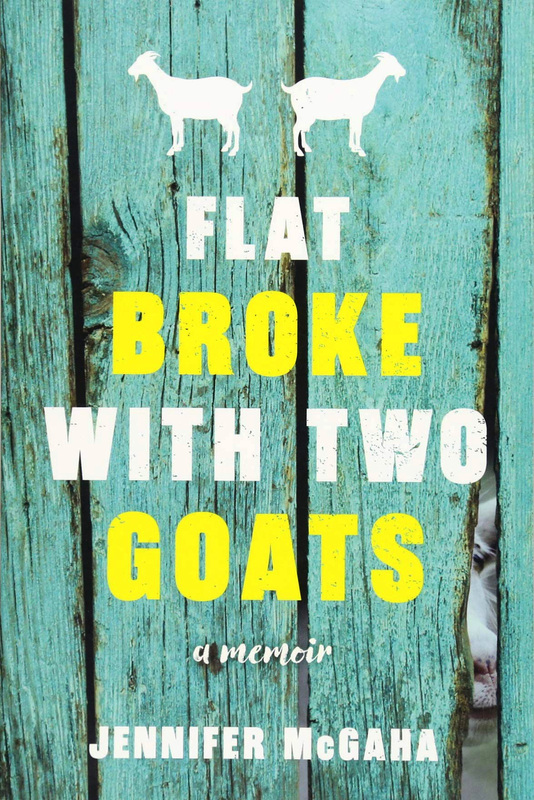 More than 14,700 U.S. public library branches participated in the campaign, held April 2–16, and the impact on Flat Broke with Two Goats appears to have been significant. The book’s OverDrive catalog page generated more than 5.6 million views during those two weeks, and more than 130,000 library patrons checked out the ebook in which professor McGaha and her husband lose their home to taxes and move their family into a cabin in the mountains of western North Carolina. In addition to lifting library circulation, the campaign also raised sales. From March through April 2018, the title experienced an 818 percent spike in ebook sales and 201 percent growth in print sales. The title’s Amazon Kindle rank rose from below 200,000 to a high of 7,833 two days after the event on April 18, according to data from OverDrive, Sourcebooks, and the NPD Group’s DecisionKey retail book sales tracking service. Sales increases were sustained for weeks afterward as well, with April through June 2018 ebook sales 720 percent higher than precampaign volumes, while print sales were 38 percent above precampaign volumes. There were also more than 13,000 Goodreads additions during the campaign; more than 400 comments from readers, librarians, and the author on the OverDrive-moderated discussion board; and more than 500 uses of the #BigLibraryRead hashtag on social media during the two-week event. Guren was careful to note that it was outside the scope of this particular study to do focus groups to determine specific factors that may have motivated people to purchase copies during and after the campaign, so the potential reasons he cited are speculative. However, he added, “There’s certainly a strong correlation” between the BLR event and the sales spike. Many librarians might say that this correlation is not surprising. Libraries offer reader recommendation services, promote new authors, host book clubs and author visits, and generally do a lot of face-to-face promoting of authors and books. Yet half a decade ago, many major publishers were unwilling to license ebook content to libraries for circulation, viewing library circs as lost sales. As retail ebook sales have plateaued, publishers are looking for answers. This summer, Macmillan announced that its Tor imprint would be testing a four-month embargo on selling new ebooks to libraries to see how it affects sales. Launched this summer with initial funding from OverDrive, the Panorama Project also aims to use data-driven research to quantify the impact that libraries have on publishing. The results of this initial report would appear to vindicate claims that libraries play an important role in discovery and have a net-positive result on publisher sales, but Guren said that the Panorama Project also has several other studies in the works, hoping to build a more comprehensive view of the modern public library’s place in the publishing ecosystem. In a statement sent to LJ by the Panorama Project, author McGaha said the BLR campaign had helped readers discover her work as a first-time author, and had helped facilitate connections with a new fan base.